How closer are we able to design the board with respect to requirements? Is there any possibility of optimization among circuit tree outputs? What is the board cost compared to the comparison board? Circuit Tree designs would be different than the designed board. How do we verify the design? This time we compare the capability of circuit tree with another commercial board in the market available from olimex. It is a great open source hardware board available at a competitive price with great support from olimex. Boards costs 40USD in quantity of unit 1 as per olimex. We add requirements in the tool by adding spi, i2c and other buses to a UEXT connector. Similarily for the Arduino connector the spi and uart bus signals are routed to the connectors. We additionally add the GPIO connector having close to 11 pins. Additional interfaces such as ethernet with lan8710, usb type AB port with esd protection, sd card and jtag ports are added as per the snapshots below. Circuit Tree hardware compiler next finds the controller which can support these function. Circuit Tree returns close to 186 parts. We have option to select STM32F407ZGT6 or STM32F407ZET6 with several other parts. 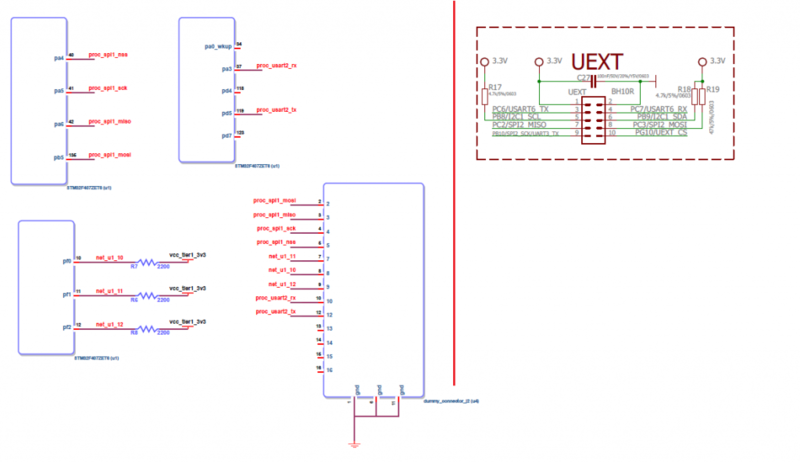 We choose STM32F407ZET6 as olimex schematic has this part designed into it. We select a board size of 130mm x64 mm. USB section visual check: Two usb otg ports are compared. The connector pinouts, vbus generators and esd connections can be checked in the schematic. 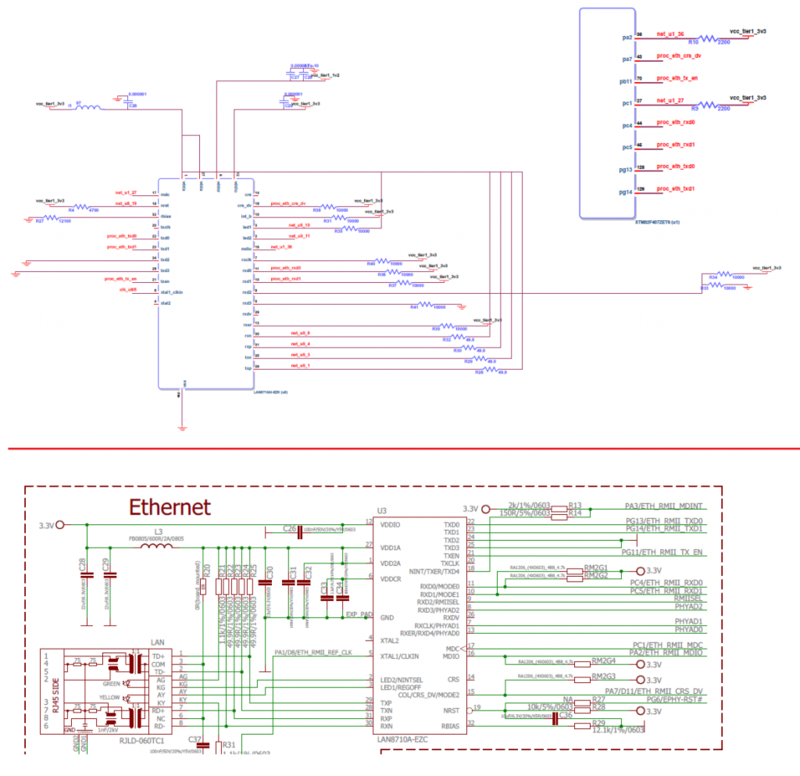 Ethernet RMII section: Comparison of lan8710 and STM32F407ZET6 connections are done. All controllers pins are the same except for the PG11 which in case of circuit tree schematic is PB11 which is correct as per pin mux. UEXT connector connections: The connections of the controller pins and the UEXT assignment is different than allocated. The connector pin definition is also different than the one desired. Power, clock and reset generation is different in circuit tree. It shows that circuit tree can generates it own power supply connections based on what it calculates the extremes. Some of BOM parts selected by circuit tree are high is cost. One of the examples being integrated magnetics which cost close to usd 10. We would address this concern once we have sufficient parts in the library which would provide value range to the user. Arduino connectors are not compared as the pin assignment and gpio connections are not as per connector requirements even though the muxing from controller is correct. In the next release we would have new feature to change the connector pin outs. IFC pin connections failed as circuit tree does not generate a connection where it observes conflict of IO’s. The commercial schematic uses jumpers to isolate segments which we can also support at a later date. The placement of the design was not the same as the olimex board. We are in process of improving the constraint addition which would help to create more custom designs. It was a long post with visual comparison of the two boards. Write back to us at info@circuit-tree.com with your feature requests and suggestions. This entry was posted in Capability Test and tagged auto placement, circuit-tree, eagle, hardware compiler, schematic, st-micro, stm32f407 on September 25, 2018 by Makarand Kapoor. Here is another capability test we wanted to conduct with the latest set of features. These tests help us check the limits to which we can test our engine check in addition to check the usability of the application. We choose a stm32f407 reference design from STMicroelectronics for comparison as it is a complex board and our guess is that it has taken several week to design the board. We quickly pulled in the design which we have created in our example library and selected components such as usb3317 from the usb library as our ulpi transceiver. We let circuit tree design remaining combinations for us. This is the what our design looked like in requirement editor. Circuit tree quickly generated the design for us by doing all the complex tasks behind the scenes. Let us compare the results. 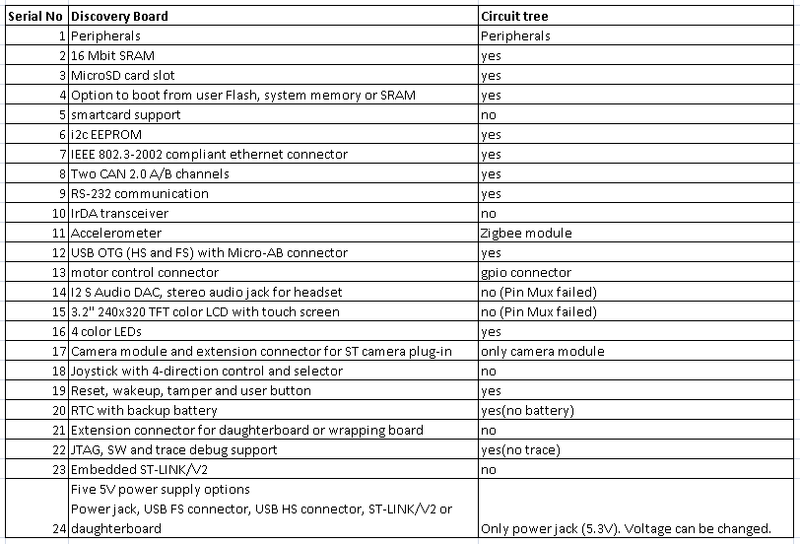 The table below shows what circuit tree could achieve in comparison with the board and what it could not. 1. Circuit tree did not connect two peripherals in parallel. For instance MicroSD connector and RS232 connectors. It also did not do create connections where audio port is shares pin with MicroSd port ON ST boards. Here are the list of pins allocated by the circuit tree versus the application board. 2. Some of the features we don’t support at the moment but we have capability to do so and extending our capability every day. 3. Finding processor pins for the peripherals, component selection for peripherals, power clock reset, optimisation, decision circuit configuration , schematic generation and check is all done in a shortest span of time. We like to keep things simple and easily understandable for our users which is reflected in our final output. 4. 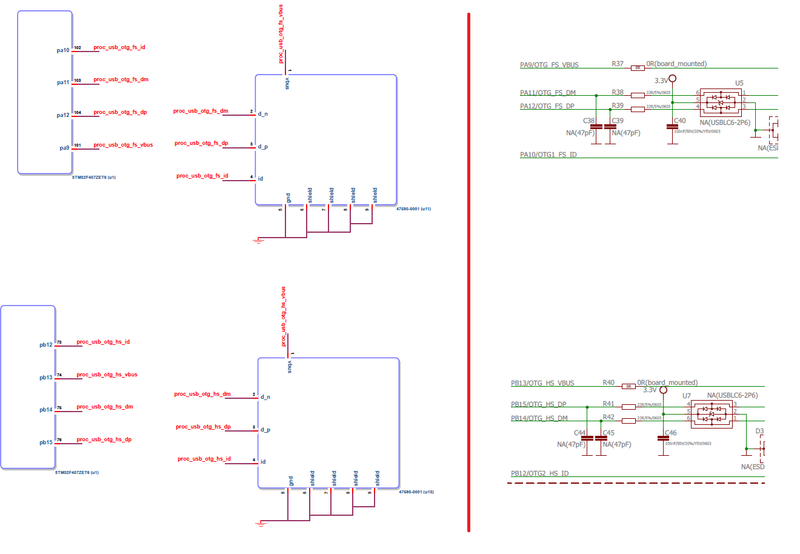 The application schematic generated can still be downloaded in a popular PCB design tool and used for further customisation. c). Change zigbee module to Zigbee Internation XB24C module. d). change input voltage to 9V. TIP: You could also go back to the board requirement menu ,delete the processor and add any other processor and still generate the design. 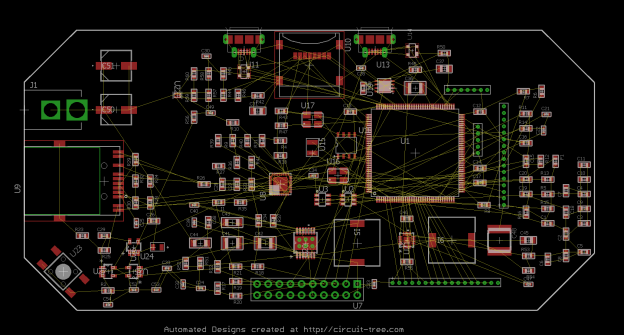 Circuit tree is a online EDA application having intelligence of a hardware engineer to create embedded hardware designs. It features more than 1000+ processors and controllers along with extended hardware peripheral library. This entry was posted in Capability Test and tagged altium, board design, eagle, schematic, st-micro, stm32f407 on October 13, 2016 by Makarand Kapoor. Component selection unless pre-selected from requirement page. This is the amount of variability the application has. This unconstrained output is however tested thoroughly before the schematic is displayed. Continuing with the above thought we would like to share some of the most dynamic schematic connections generated so that you can understand that each created design is unique and the effort we have invested to ensure that the designs delivered to you are correct. For this discussion we will be using the hardware compilers and its library components. 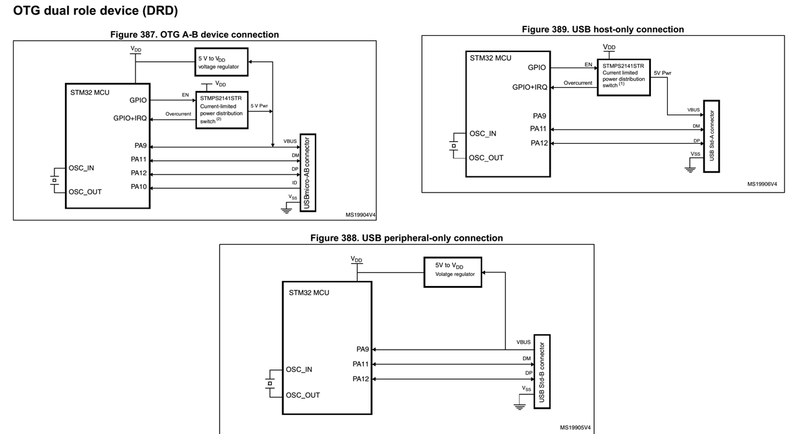 When visiting stm32f407 look out how the usb connections are generated. Some of the requirements pictures are posted below in the figure. Also you can select ulpi and try exploring these pages too. When using imx6 controller select rgmii/rmii/mii interface in ethernet or try pcie implementation. Look how the power sequencing takes places when rgmii phy with two power up voltage steps and imx6 with four power up ramp up steps ramp with with the remaining circuit. There are lot more interesting ways in which the circuit changes and we enjoy exploring these creations. Keep exploring and don’t forget to share your feedback about the application. We have many more designs to prove that the circuit tree hardware compiler out there. Visit our github directory to know more about the automated design deliverables. This entry was posted in Business, Development and tagged circuit-tree, hardware compiler, schematic, stm32f407 on January 18, 2016 by Makarand Kapoor.